New Approach for Binormal Spherical Image; Borel Resummation & the Solution of Integral Equations; Bianchi Type-IX Dark Energy Model in Brans-Dicke Theory; Dark Energy Cosmological Model in General Scalar-Tensor Theory; Bianchi Type-VI0 String Cosmological Models in a New Scalar-Tensor Theory; Axially Symmetric Domain Walls & Cosmic Strings in Modified Theory; Brief Report on Modeling Neutrinos; Alpha & Omega in the Algebraic Model of the Unified World; Derivation of Natural Constants with a New Formula: Part I, II, III & IV; Book Review: Time Reborn by Lee Smolin. Editor: Huping Hu, Ph.D., J.D. ; Editor-at-Large: Philip E. Gibbs, Ph.D. Refined Higgs Data from CMS & ATLAS; Cosmic Background Radiation Data from Planck; The Application of Zeta Regularization Method; Counterparts of Einstein's Equations in TGD; Departures in Logic, Mathematics and Physics; Syntactic-Semantic Axiomatic Theories in Math; Several Exact Solutions in Modified GR; Fifth FQXi Essay Contest: It from Bit or Bit from It? Interrelation among Relativity, Vacuum & Absolute Space-Time; Riemann Zeros, Quantum Chaos & Trace Formula; What Could p-adic Icosahedron Mean? Accelerating & Decelerating Cosmological Model; CMS Looking Back; Matter-antimatter Asymmetry; Looking Forward to Moriond. 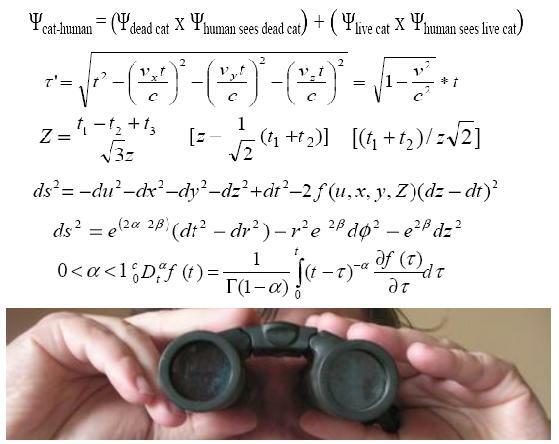 We Need to Find the Theory of Everything, On Lorentz-invariant Theory of Gravitation, Spherically Symmetric String Cosmological Model, Kantowski-Sachs String Cosmological Model, TGD Perspective to Robert Kiehn's Ideas, On Matter and Antimatter Asymmetry, Challenges of QG & Higher-Dimensional FT, Recent Anomalies from TGD Perspective, Do We Need a Theory of Everything? A Good Year for viXra, The Dark Side of Open Access. 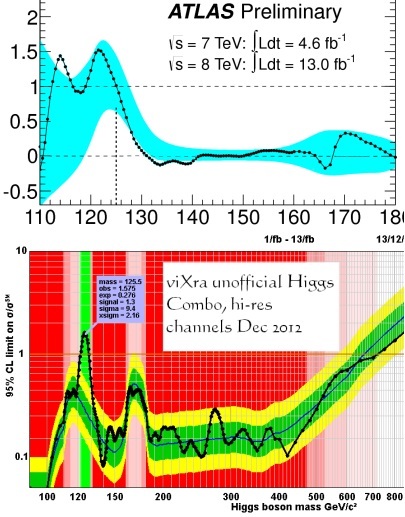 End of Year Higgs Roundup,Geometric Invariants of Preferred Extremals, Bianchi Type-II, VIII & IX Magnetized Cosmological Models,Five Dimensional Plane Wave-like Solutions of Field Equations, View about Higgs from the Perspective of TGD, FQXi Results & Analysis, LHC End of Proton-run Update & a Christmas Rumour, The Particle at the End of the Universe & Colliding Particles. 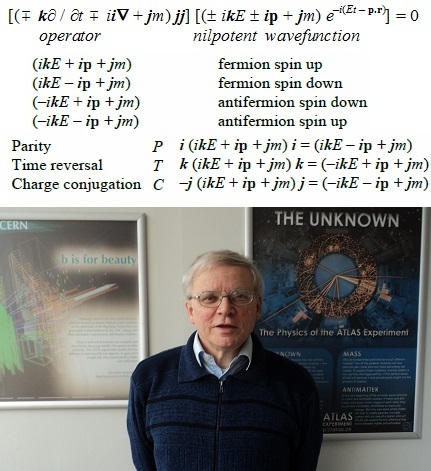 Focus issue featuring Peter Rowlands' Work: A Foundational Approach to Physics; The Factor 2 in Fundamental Physics; Removing Redundancy in Relativistic Quantum Mechanics; What Is Vacuum? Are There Alternatives to Our Present Theories of Physical Reality? Physical Interpretations of Nilpotent Quantum Mechanics; and A Foundational Approach to Physics: Nilpotent Quantum Mechanics & Its Applications. Cherished Assumptions & the Progress of Physics, Bianchi type-I Cosmological Model with Constant Deceleration, Bianchi Type-VI0 with Strange Quark Matter Attached to String Cloud, The Cause of the Nearly Perfect Spherical Shape of the Sun, On Primordial Rotation of the Universe & Vortices, Unified Integro-Differential Equation for Relaxation, The Mystery of Ultra High Energy Cosmic Rays, News: Higgs at HCP2012. 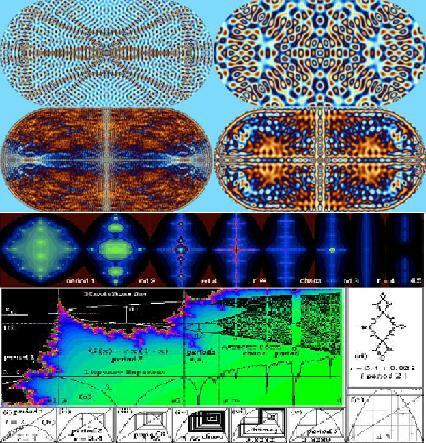 Foundations that Are Not Foundations, Physics Needs a Physical Theory of Observation, The Universe - an Effect without Cause, Crisis in Physics: Causes of the Crisis & Ways Out of It, What Is the Meaning of Fractional Electric Charges? 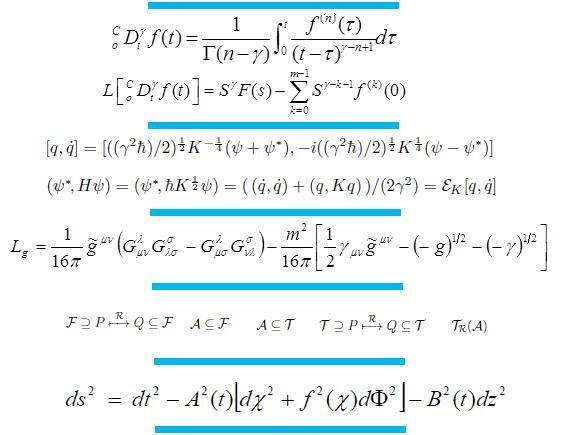 On New Virtual Scalar Particles in Quantum Field Theory, Dynamic Instability of the Standard Model & the Fine-Tuning Problem, Is There Evidence for a Charged Higgs Boson? Plus Other Articles. Does the Sum Rule Hold at the Big Bang? Fractality of Quantum Mechanics & Quantization of Planetary Orbit Distance, Particle-wave Duality in the Theory of Gravity, Quantum Hall Effect and the Effective Hierarchy of Planck Constants, Updated View about the Hierarchy of Planck Constants, On The Cosmological Constant and the Higgs Mechanism, Kantowaski–Sachs Dark Energy Model in f(R,T) Gravity, Bulk Viscous Fluid Hypersrface-Homogeneous Cosmological Models, Who Will Tell Us How Space & Time Are Non-existent for Light? LHC Update for September 2012. 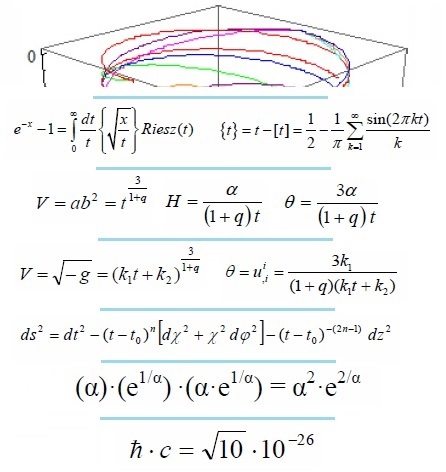 The Gravitational Field of an Accelerating Mass: Gravitational Waves, On a New Position Space Doubly Special Relativity Theory, TGD Counterpart for Higgs-like Particle, M8-M4xCP2 Duality, Preferred Extremals, Criticality & Mandelbrot Fractals, The Pioneer Anomaly, Return of String Theory to Symmetry & SUSY 2012, LHC Update for August 2012, New Science Prize Setup by Yuri Milner, Ray B. Munroe Jr. 1958-2012: Advocate of Geometric Approach to GUT. The Higgs Boson and the Power of Consistency, Higgs Live, viXra Combinations and Congratulations - It's an Boson, Tevatron Squeeze 2.9 Sigma Higgs Signal, A Review of Higgs Particle Physics, Is It Really Higgs? 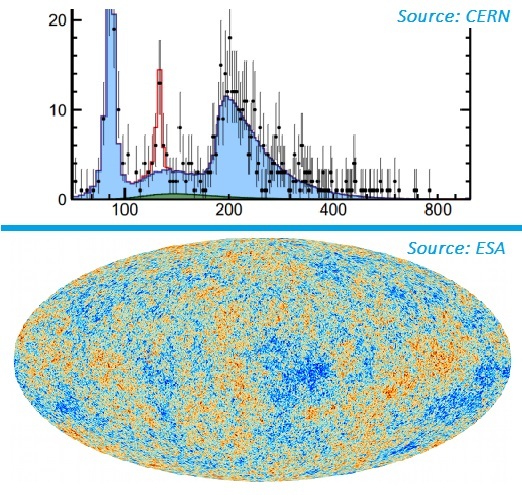 The Higgs Boson, Single Mathematical Particle, Unofficial Higgs Discovery with 2011 Data, Hunting the Higgs Using the Cholesky Decomposition, Decomposing Electromagnetism, Preferred Extremals of Kahler Action, Zero-mass Renormalization, Doppler Effect of Time and Space, Poll: Get the Nobel Prize for the Higgs? 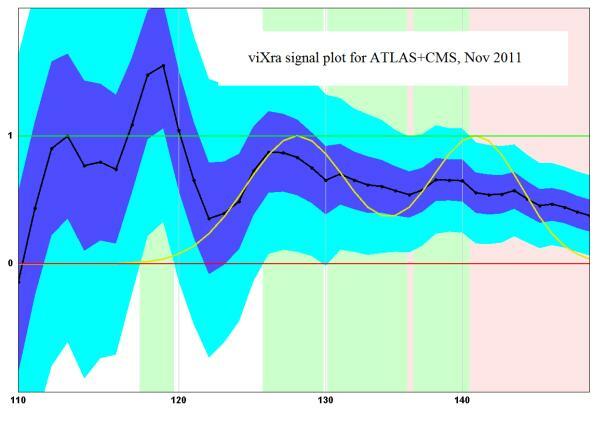 & Post-Higgs LHC Update. 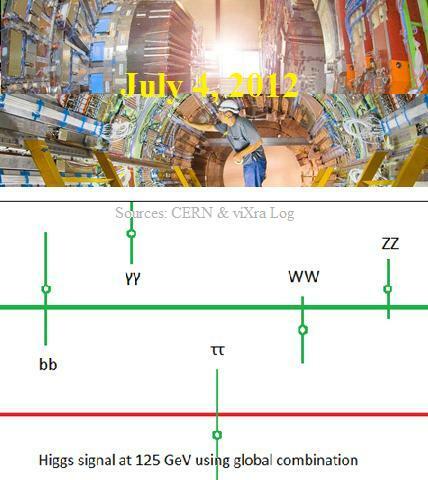 ICHEP Preparations, July 4th Higgs Update at CERN & Several Higgs Webcasts; ICHEP Higgs Rumours = Discovery? Higgs Discovery on the Brink, but Is It the Higgs? & What Is the Deal with H → WW? 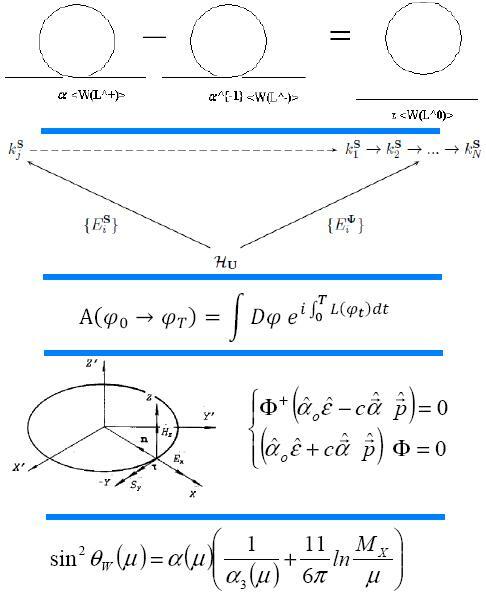 Comparison of the Fractional Response of a RLC Network & RC Circuit; The Nature of Pre-spacetime & Its Geometrization; Bianchi Type V Dark Energy Model in Brans-Dicke Theory of Gravitation; Bayes and String Theory; & LHC June 2012 Update. If There Is a Nobel Prize for the Higgs Boson, Who Will Get It? LHC Update: Another Week, Another Inverse Femtobarn, Higgs Combination Applet & 4th FQXi Essay Contest, Quantization Opens a Door to the System’s Proliferation, Quantum Adeles and Quantum Hilbert Spaces, Solutions of 5-D Bianchi Type-I Space-Time in f (R) Gravity, Kantowaski-Sachs Dark Energy Cosmological Model, Educational Horizons and the Frontiers of Science, Bayesian Statistics and SUSY, Review of Physics on the Fringe, & Maxwell's Theory of Gravity and Thermodynamics. Electromagnetic Transient Analysis of Networks, Classical-wave Simulated “Long Qubyte”, On Lorentz-invariant Theory of Gravitation, Is Indeed Information Physical? 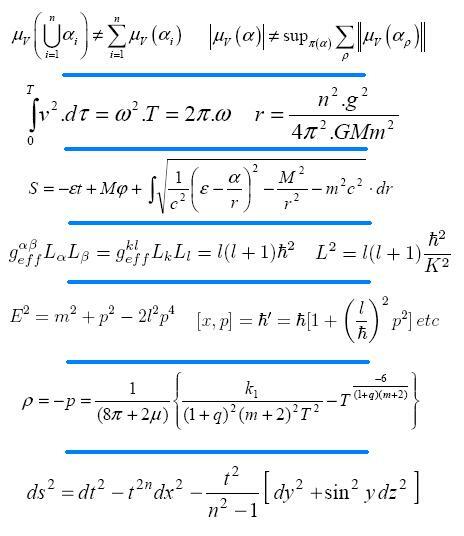 Limitations of the Axiomatic Method in Physics, "Physical Intuition": What Is Wrong with It? Axially Symmetric Dark Energy Cosmological Model, LHC Update: 8 TeV Collisions Started & 1/fb Delivered (revised 09/23/2012). 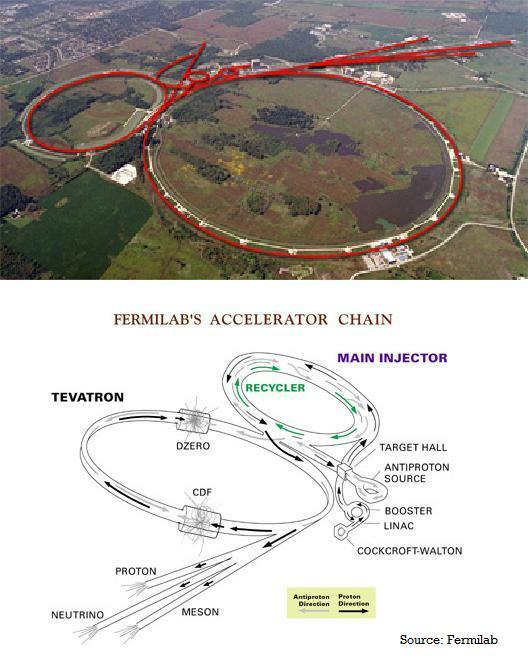 Tevatron’s Final Higgs Results Showing Excess, Moriond 2012 Higgs Summary, Fractional Field Theory and Physics Beyond SM, Superluminal Neutrinos? Four (4) New GR Solutions, & LHC Update: Beams Are Back. 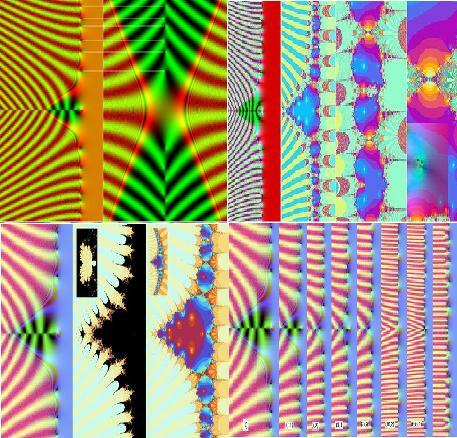 Focus Issue featuring Chris King's work: Experimental Observations on the Uncomputability of the Riemann Hypothesis: Part I & II, Fractal Geography of the Riemann Zeta Function: Part I & II, & A Dynamical Key to the Riemann Hypothesis: Part I & II. Focus Issue featuring Chris King's work: Why the Universe is Fractal, Exploring Quantum, Classical and Semi-classical Chaos in the Stadium Billiard, & Exploding the Dark Heart of Chaos: Part I, II & III. 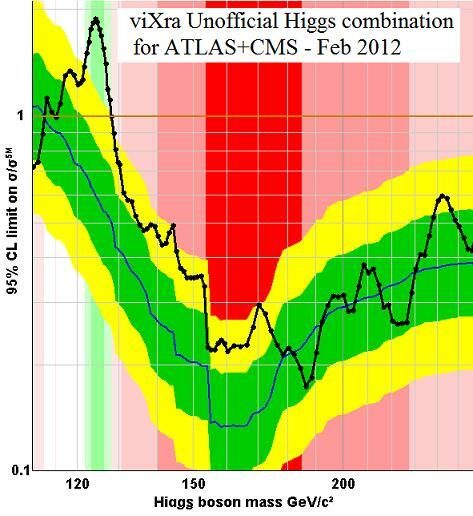 Higgs Combination Plot Update & Some Technical Points about Combining Sigmas, The Quaternionic Particle Mass, Conformally Compactified Minkowski Space, Considerations: Classical and Quantum, Three (3) Papers on Various GR Solutions, Superluminal Particle Sequences & LHC Update: CMS Search for Exotics, Chamonix, Stop Rumours! 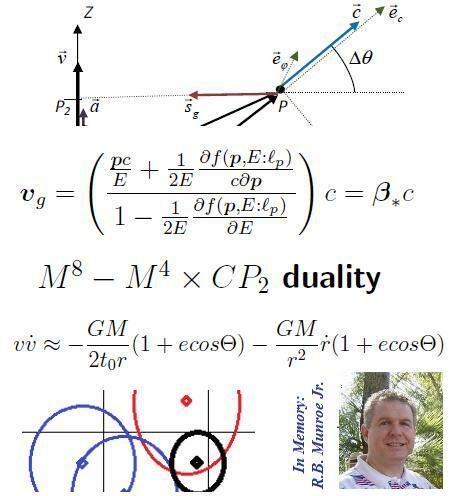 Reflections on a Brief Encounter with an Onto-Epic Quantum Physicist, Observer Is Absolute Reference Frame inside Fundamental Vacuum, New Understanding of Time Measurement, Special Theory of Relativity without Imaginary X4 = ict Coordinate, Four (4) Papers on Various GR Solutions, Time Fractional Formalism & Seminar Watch 2012. Vol 2, No 13 (2011): Hints of Higgs Boson at 125 GeV Are Found: Congratulations to All the People at LHC! Refined Higgs Rumours, Higgs Boson Live Blog: Analysis of the CERN Announcement, Has CERN Found the God Particle? 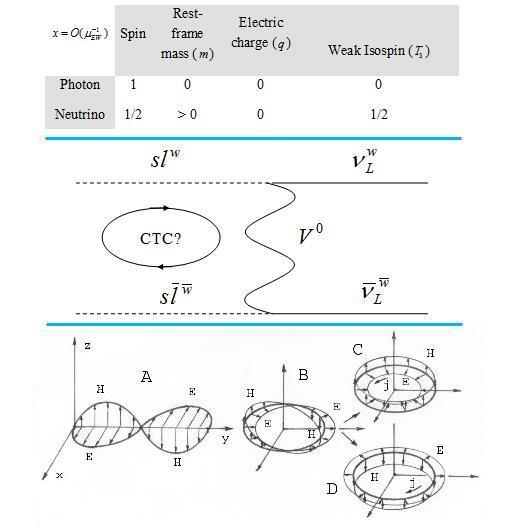 A Calculation, Electron Spin Precession for the Time Fractional Pauli Equation, Plane Wave Solutions of Weakened Field Equations in a Plane Symmetric Space-time-II, Plane Wave Solutions of Field Equations of Israel and Trollope's Unified Field Theory in V5, If the LHC Particle Is Real, What Is One of the Other Possibilities than the Higgs Boson? What is Reality in a Holographic World? Searching for Earth’s Twin. 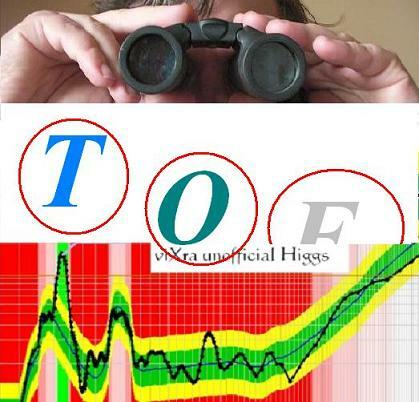 OPERA Fail to Find Error in Faster Than Light Measurement, BSM CPV in LHCb at HCP11 and New Higgs Combinations Released, Seminar Watch (Higgs Special), Rumoured Higgs at 125 GeV and What Would a Higgs at 125 GeV Tell Us? 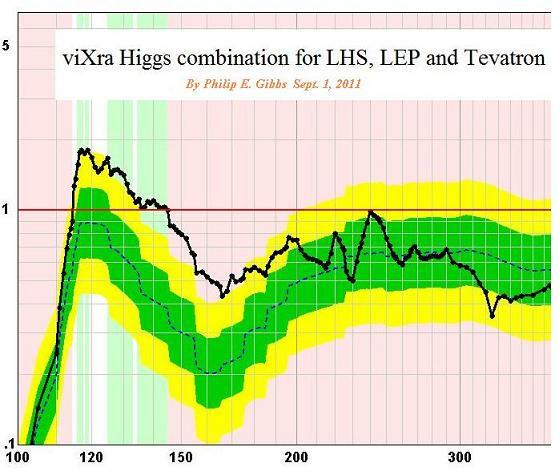 Expected LHC Higgs Significance at 5/fb+5/fb and Where Does Higgs Fit Best? 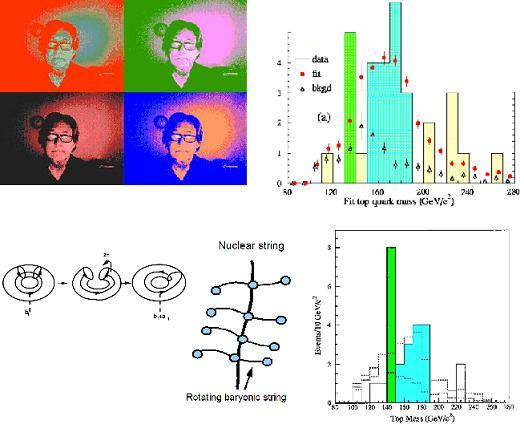 Higgsless Symmetry Breaking from Renormalization Group Theory, Nonlinear Theory: On Calculation of Elementary Particles’ Masses, The Non-linear Theory as String Theory of Compton Wavelength Scale, Four Articles on General Relativity Solutions, An Alternative to the Quantum Leap Paradigm, LHC Luminosity Predictions for 2012. Neutrinos, Press Embargos & Let's Talk about FTL, What Is the Future for Particle Accelerators? HCP 2011: Will It Deliver? The Nature of the Gravitational Field, The Schrodinger Presentation of Certain Oscillatory Classical System, Nonlinear Theory: On Photon and Electron Structure, Hidden Dimensions Can Explain ‘Superluminal’ Neutrinos, The Errors of Statistical Hypotheses and Scientific Theories, Six Articles on General Relativity Solutions, 2011 Nobel Prizes in Sciences, LHC Updates, ESA’s EUCLID to Explore Dark Energy, 10 Reasons to Buy into Big Science. 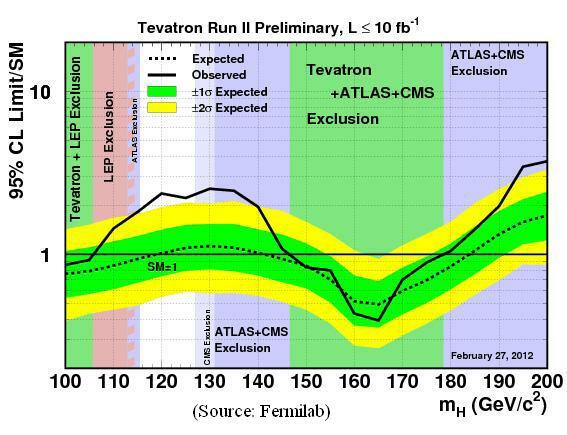 Vol 2, No 9 (2011): The End of an Era: Tevatron Is Shutting Down, & Can Neutrinos Be Superluminal? 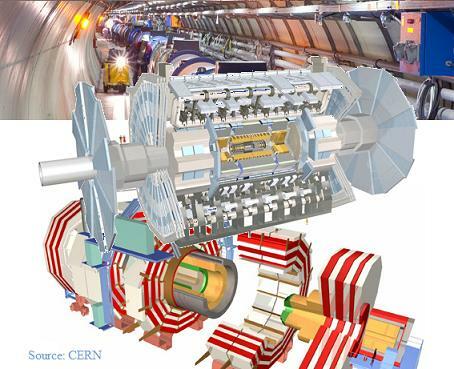 Shutdown Approaches for the Tevatron, Higgs Days at Santander, Can Neutrinos Be Superluminal? LHC Prospects for 2012, Five Articles on GR Solutions, Are Neutrinos Superluminal? 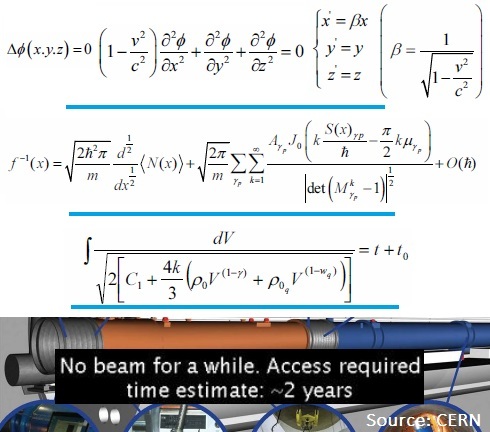 Neutrino & Brachistochrone Effect, The Virtual Reality Conjecture (Won 4th FQXi Prize), Absolute Presence,The Brilliance & Poverty of Standard Model, & LHC Update: Last Proton Run plus Seminar Watch. 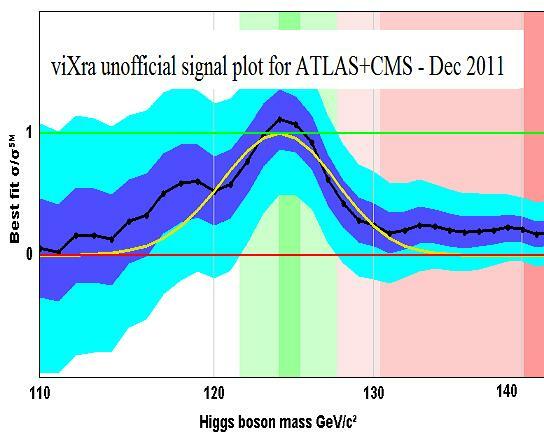 Higgs Hunting 2011, New Higgs Combos from ATLAS and CMS, Higgs excluded from 130 GeV to 480 GeV, The (t/z)-Type Plane Gravitational Waves…, Better Higgs Combo, New Unofficial Higgs Combo & Higgs Signal Plots, Did the Higgs Signal Fade? 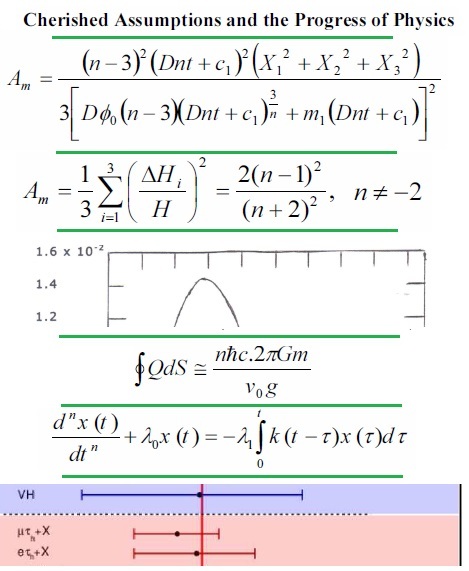 & the Best Higgs Plots Revealed, Accelerating and Decelerating Bianchi Type VI0 Cosmological Models…, Nonlinear Theory of Elementary Particles Part XIII…, Fractional Modified Special Relativity, Thick Domain Walls & Bulk Viscous Domain Walls in GR, Deconstructing Reality: Is Reality Really Real? 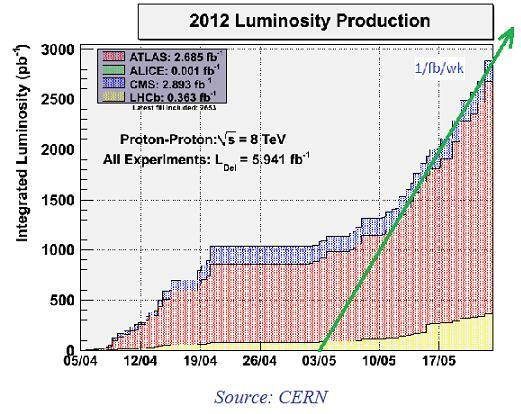 & LHC Update: New Luminosity Milestone, Help CERN Search for the Higgs Boson & a Typical LHC Plot.